Here is our #465-C jewelry box, also referred to as a clock base. 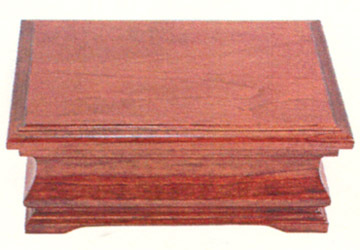 Handcrafted of solid cherry by the Amish, this one features a plain lid, and contains a removable tray on the inside. Shown in solid cherry. Also available in solid oak.